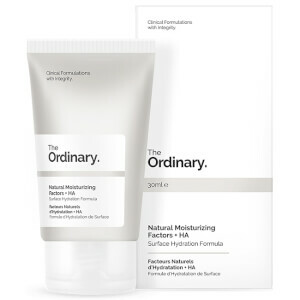 Treat your complexion to the benefits of the Hyaluronic Acid 2% + B5 Hydration Support Formula from The Ordinary. I have been using this product for about 2 months. I like the feel on my skin ,smooth and taut. I am not sure if it is having an effect on my skin just yet. There is a lot talk in ads about the advantage of using Hyaluronic Acid so I hope I am doing the right thing. I really like this serum. It makes my face look and feel smooth and tight in a comfortable way. I am 75 years of age. I have lots of compliments now I am now on my 2nd bottle and I will keep using it I cannot believe a serum this cheap is so powerful. I absolutely can’t go without topical high-quality HA serum. I worked in an aesthetic medicine practice for years and learned that high quality topical HA is high-quality topical HA. 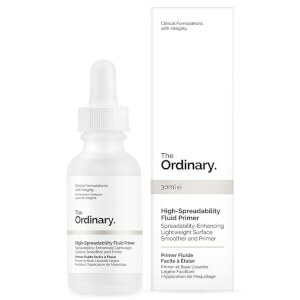 I would NEVER spend 100+ $$ on an oz of HA after using The Ordinary. Thank you Wayne Goss for introducing me to the brand. I researched this line extensively before I bought it. It did not disappoint! I bought several products for my skin concerns and have been using them for about a month. The results are amazing! My skin is brighter, smoother, pores are smaller. If you’re questioning whether to buy or not, buy it! You will not be disappointed! I’ve been using hyalauronic acid for about 4 years straight. I’ve always used this product but hit and miss. 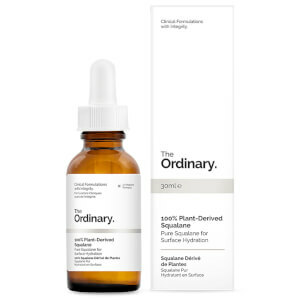 This hyalauronic acid product will always be a staple in my skin arsenal routine. I use it am and pm. I encourage anyone who wants their skin to be at its best, please put this in your skincare routine. I have their Alpha Lipoic Acid 5% and 2 of their foundations from the Ordinary also. I’m very pleased with the overall performance of their products. Everywhere I go, people ask me about my skin. Very simple, very inexpensive skincare products , cleansing and a TON of water, daily. No smoking also helps. You can't go wrong with this price! I layer it with the buffet serum and my skin feels silky soft and luxurious! Use it every day. I layer this with the 2% hyaluronic acid and my skin feels silky soft and luxurious! Use every day since I've gotten it. Good value serum. Quite a good consistency, though slightly sticky it absorbs well into the skin. Happy with product so far. This stuff really is amazing, especially for the price. This hydrates better than any lotion I have used and leaves my skin plump. 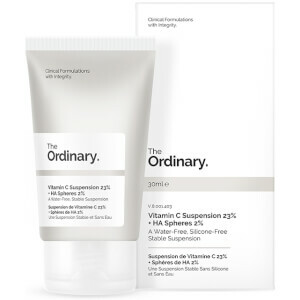 This serum I use as suggested..with the vitamin C cream moisture. Amazing results and you know what's entering your system!